Thought Waves Crop Circle: Our thought waves, how collectively we are connected and manifest together. 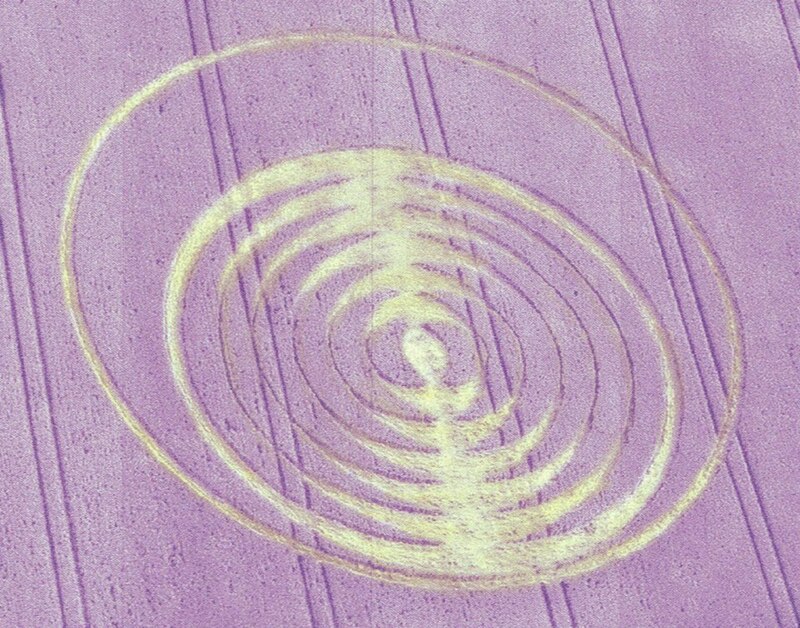 Crop Circle discovered 24 June 2016, Fullywood Ovington, Hampshire, UK. Namaste and I send much love and light to you. All what we do is recorded in the universe. Our thoughts reach far into the higher spaces. All what we think is also recorded in waveforms, for nothing that is created can become destroyed, only changed. Here is a beautiful message, illustrating how we are thoughts and our thoughts we have are much stronger than we realize. Yes, on an individual level they aren’t strong perhaps, but collectively they manifest, they create, they become. We are constantly being asked to release our lower thought forms, to understand how to climb up higher into the higher love energies, to become more of love and light, to transform our lower thoughts and to change our frequencies so that love can become manifested upon our earth. We are being asked to look within as our energies affect all other energies and can either create higher waves of love frequencies, or more pain and anger. It really is our choice. Our earth was given to us as a home to live upon, to choose between the love consciousness and the fear and anger consciousness. Constantly we are being asked to look within and to understand that we are the creators of our own plane and that we are here to seek to grow beyond what we understand at present, to go into the higher spaces of love and light. In the higher spaces of love and light we will seek the balance that we need upon our plane. We then will allow all to come back to the peace, and transform our energies which we have created ourselves upon our plane, to return to the great love and peace. Here it shows how all thoughts and belief systems are connected. We affect everything with our thought consciousness. It also shows our evolution with our thought systems. In the greater balance, because many people have not yet awakened to love consciousness, our thoughts are being kept down (which is shown by the position of the thought waves within the circle) but there are now many people awakening who are climbing upwards with their higher thoughts, seeking higher understanding and higher ways of living. When the greater balance of thoughts work in the love flows, great shift will take place, awakening the love within many people. When we can work together into the love, the denser thoughts will no longer have hold over us, helping us to climb up higher into the higher collective thought to create greater love consciousness for our planet.